Simulation was very early used in manufacturing industries and capital goods production, as models could represent in details the material flows in a plant or factory, along with machines, operators, breakdowns and changeovers. Simulation helped testing different managing strategies, various scheduling options, taking into account all the physical constraints of the workshop. 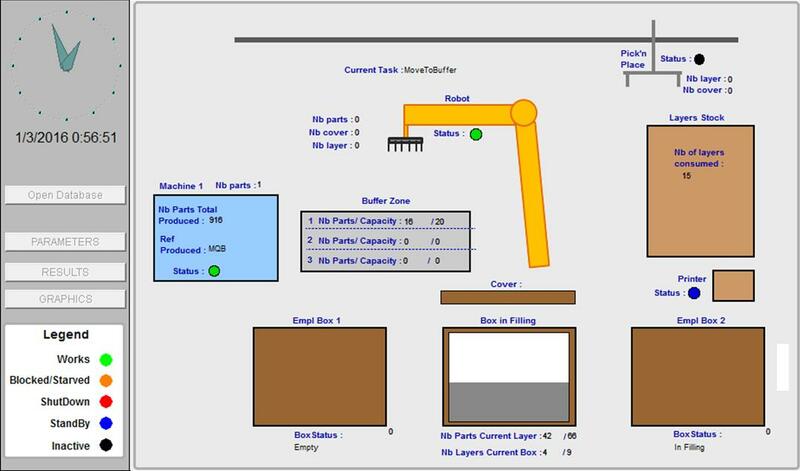 The model for this finishing line focuses on a new machine that should replace a manual operation: it has to be studied in its operational context to allow choosing a technology among several, evaluating the machine’s performances, adapting the size of buffers upstream and downstream, reviewing maintenance schedules and even organizing differently production plans.